Plus six more stars from RM Sotherby's Petersen Museum Auction. There’s no doubt Los Angeles is a premier hub of popular car culture, and the Petersen Automotive Museum is a locus where just that is on display all year round. 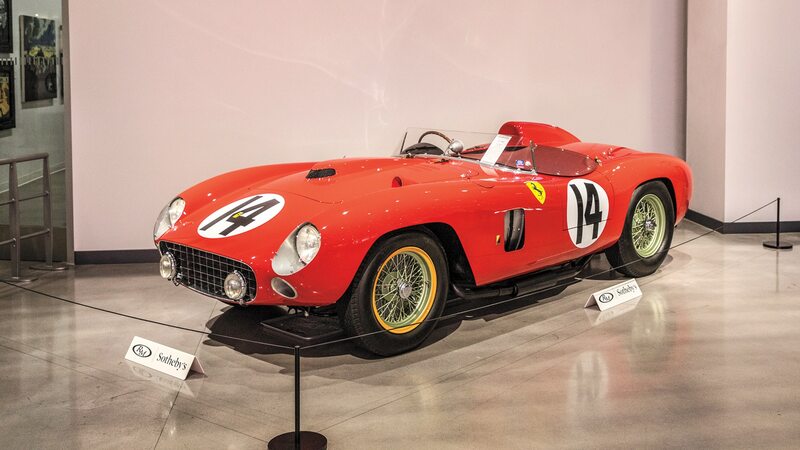 When RM Sotheby’s (which keeps a Southern California office) announced an auction at the Petersen, we were only surprised it hadn’t been done sooner. 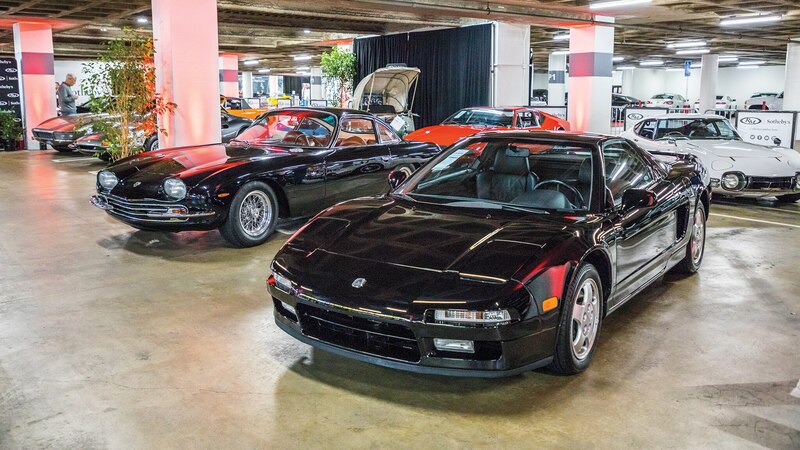 The sale felt more like an automotive-themed holiday party than an auction, with many well-known local enthusiasts in the room to socialize rather than to buy a car, yet plenty of vehicles did in fact find new homes. 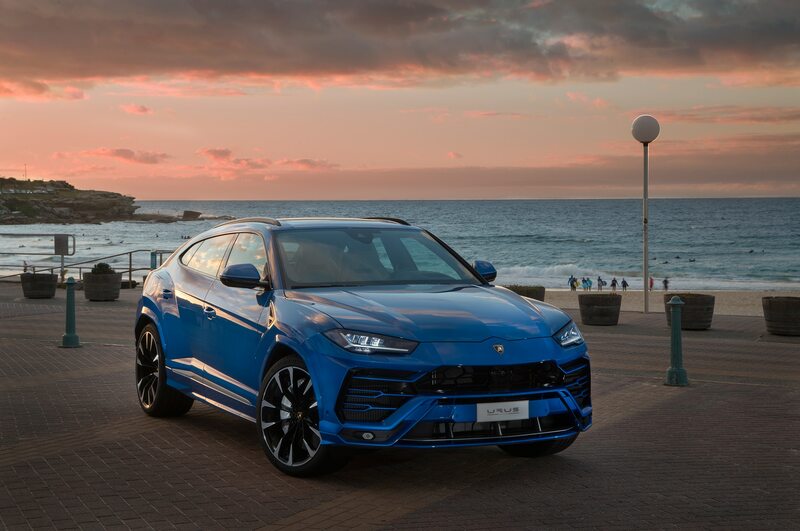 In all, 54 of the 68 vehicles offered were sold, yielding a 79 percent sell-through rate and more than $39 million in total sales. 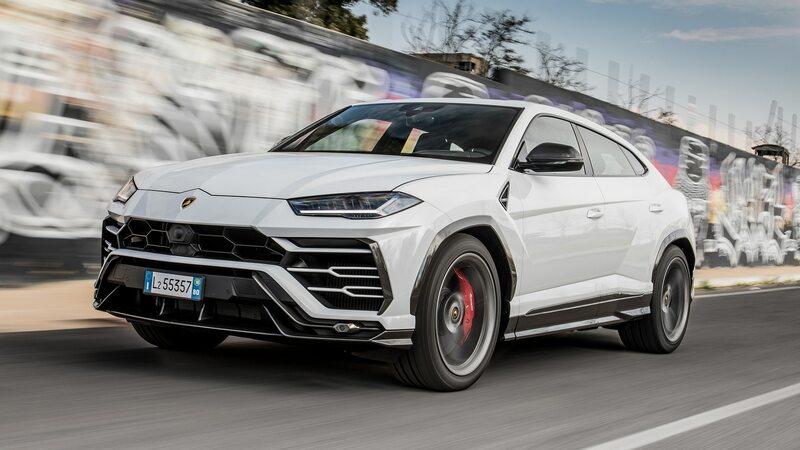 Here are eight cars that caught our eye. 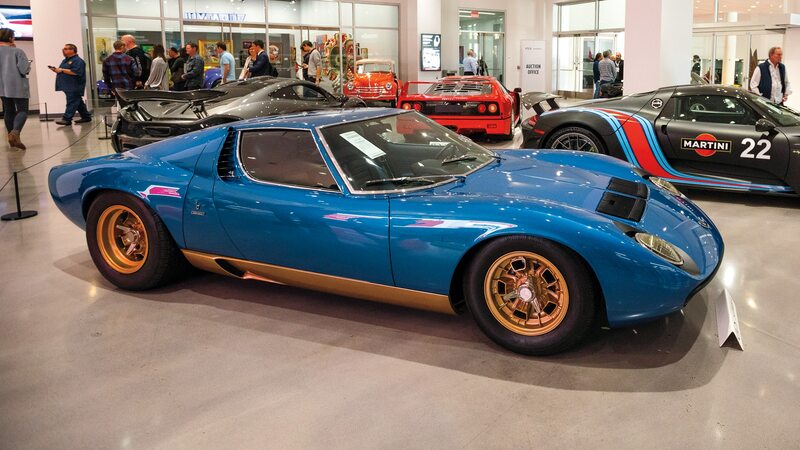 This is a gorgeous example of the final official version of the Miura, the SV. 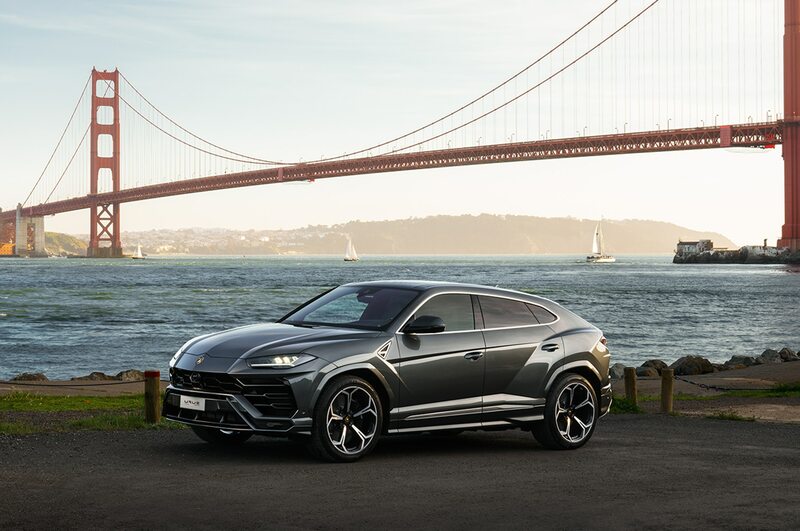 We previewed this car a little while back, and it was consigned by television and radio personality (and big Lamborghini enthusiast) Adam Carolla, who kept it in his Southern California collection for several years. The price paid reflects the SV’s status as the last and best of the Miura range, with just 150 SV examples ever built. The star of the sale, this ’56 290 MM was a Scuderia Ferrari factory racer for the 1956 and ’57 seasons and was driven by some of Ferrari’s most prolific drivers: Phil Hill, Olivier Gendebien, Peter Collins, Juan Manuel Fangio, and Wolfgang von Trips, to name several. The car, chassis No. 0628, finished second at the 1956 Mille Miglia with its original 3.5-liter four-cylinder engine before being fitted with a series of V-12 engines the following year and finishing third overall at the 1000 KM of Buenos Aires. Several years ago, it received a full factory restoration by the Ferrari Classiche department to its 1957 12 Hours of Sebring livery. The price here was driven by that provenance and the fact the car carried original bodywork, engine, and transmission; it ranks as one of the top 10 most valuable cars ever sold at auction. Starting life as a lowly four-seat Ferrari, this 330 GT 2+2 was transformed in 1967 into the wild “shooting brake” coupe it is today by Luigi Chinetti Jr., son of the famous U.S. Ferrari importer. 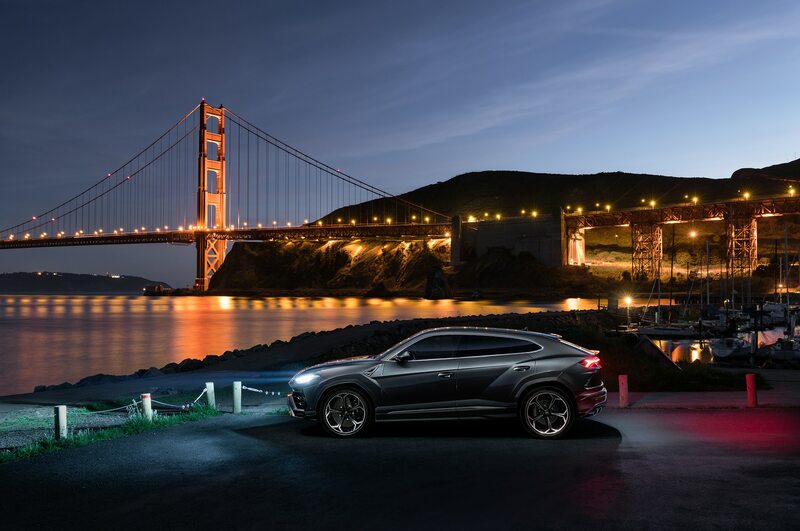 The styling was drafted by Bob Peak, an American illustrator, and turned into reality by Carrozzeria Vignale in Turin. 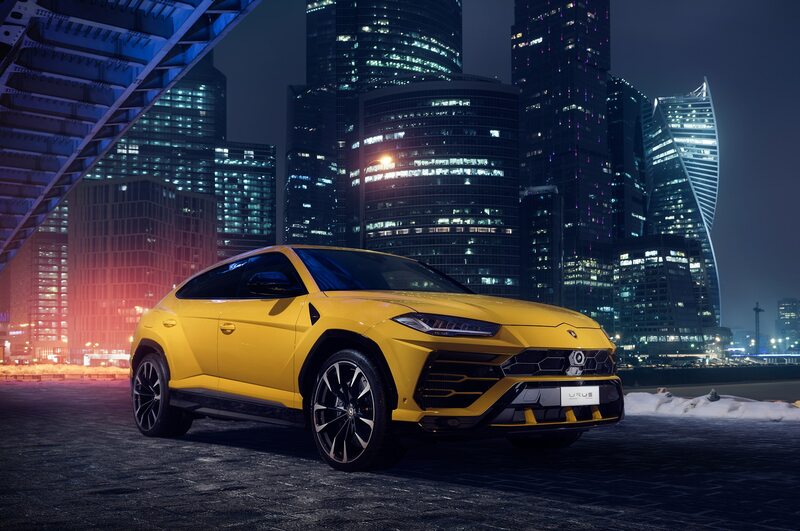 Chinetti Jr. himself drove the car for several years, and since then, it has been presented around the world by subsequent owners, including enthusiast musician Jay Kay of Jamiroquai. Pretty it ain’t, but in a city full of be-hatched Ferrari FFs, this stands out. 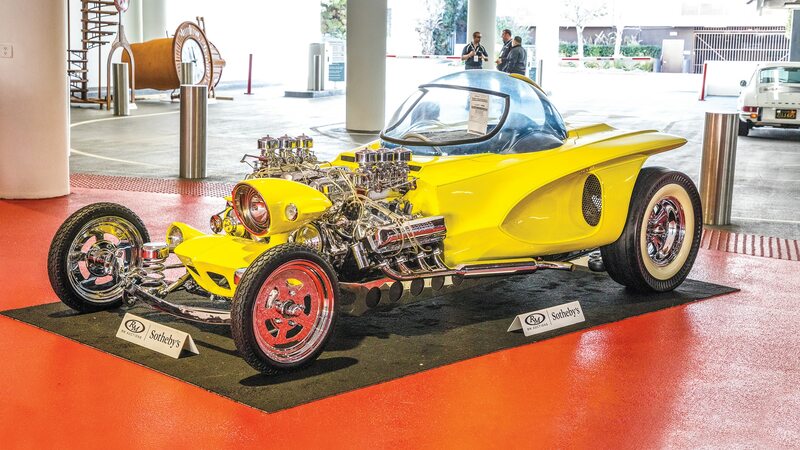 Ed Roth was a legend of Southern California “kustom” car culture, and many of his greatest show cars were produced in the 1960s not terribly far from the Petersen Automotive Museum. The original Ed Roth–designed Mysterion was parted out after many showings and never actually ran, but this re-creation was made as a tribute to the original and is actually drivable. One of the 390-cubic-inch Ford V-8s runs and powers the car while the other simply appears to. More than a car, this is a work of art. Read more about it here. 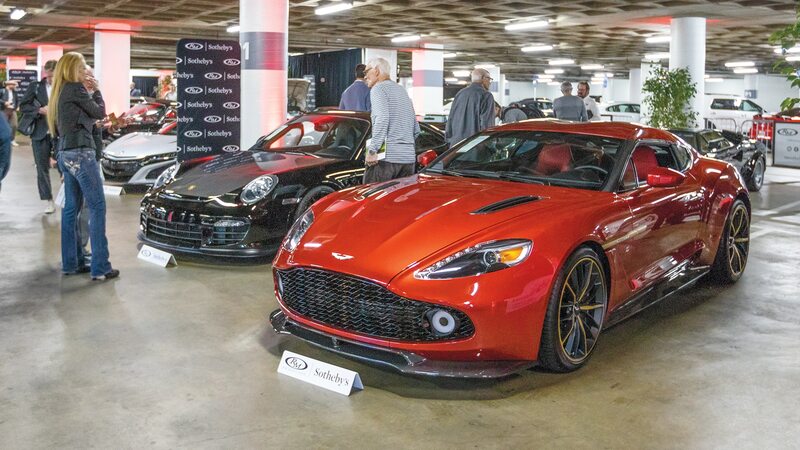 British automaker Aston Martin and Italian design firm Zagato have a long history together, the most popular collaboration being the DB4 GT Zagato of the 1960s. 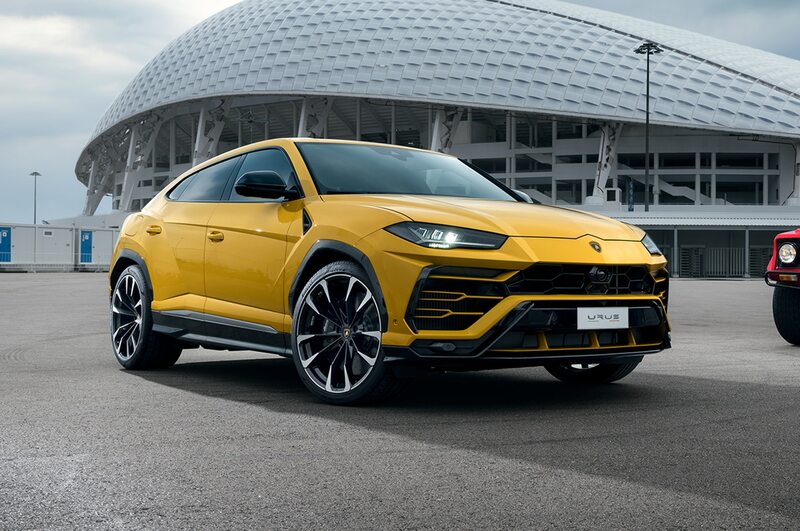 This is the company’s most recent partnership, having debuted at the famed Villa d’Este Italian concours in 2016. 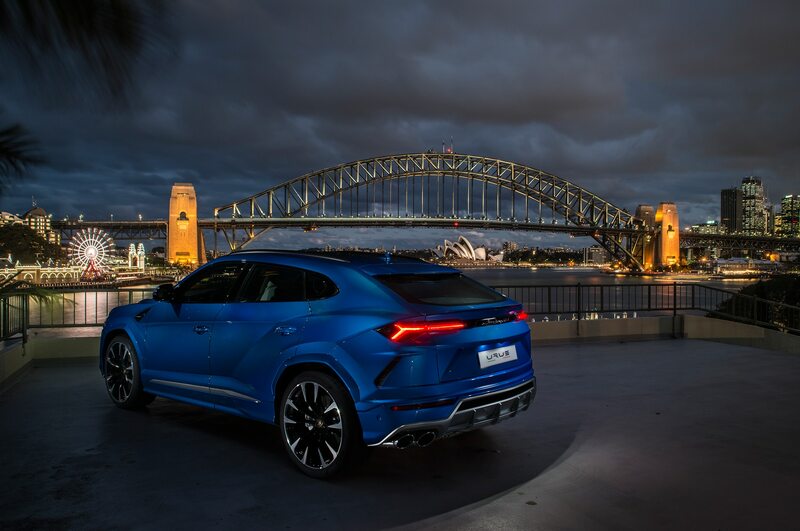 Just 99 were produced and only 15 made it stateside, with this 50-mile car being one of them. 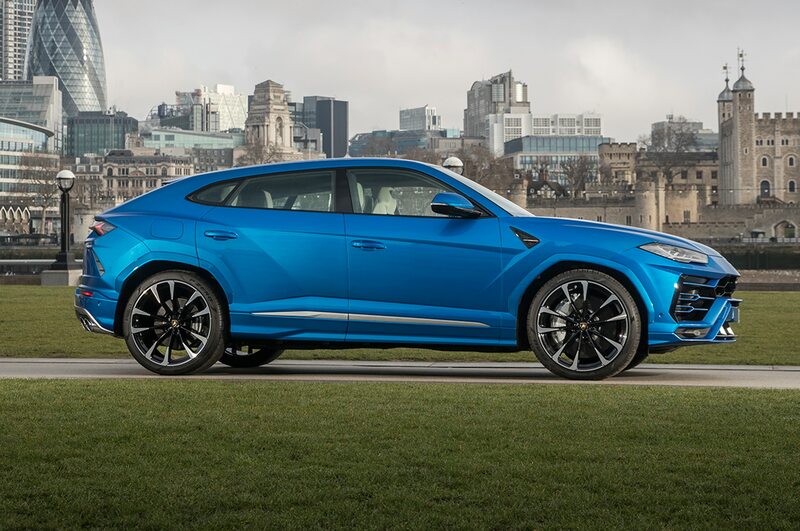 The classic Zagato elements are there, “double-bubble” roof and all, but we can’t help think this is more caricature than genuinely pretty car. 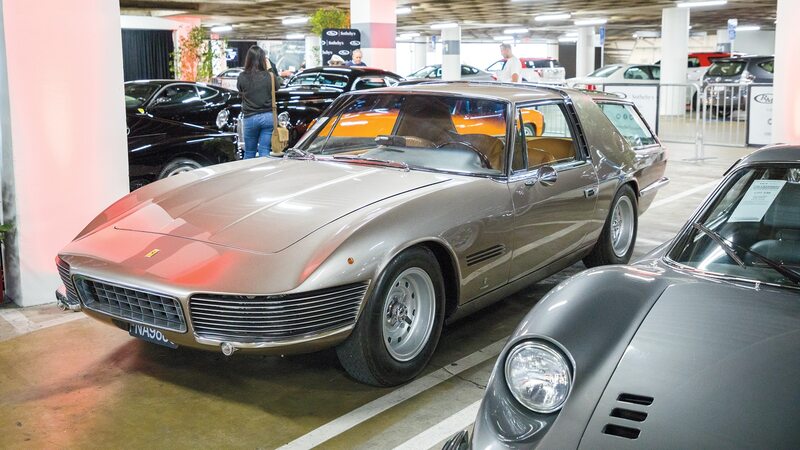 Nevertheless, the market spoke, and this V-12–powered Aston found itself a new owner. 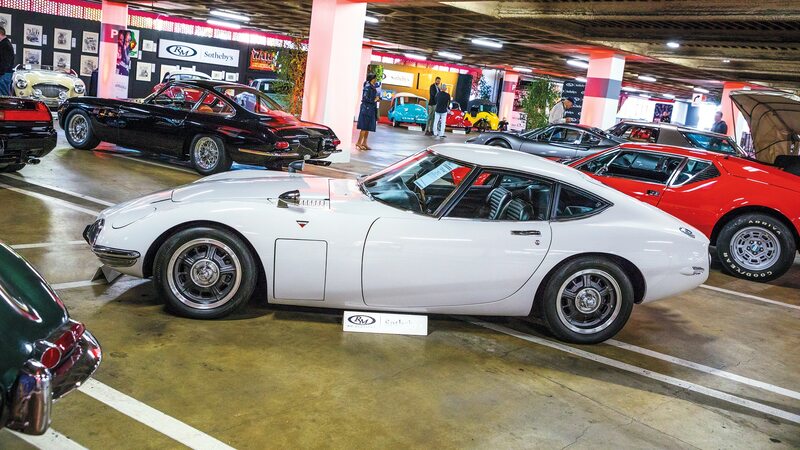 The 2000GT is a Raymond Loewy–designed sports car that Toyota hoped would show the automotive world what the brand was capable of. 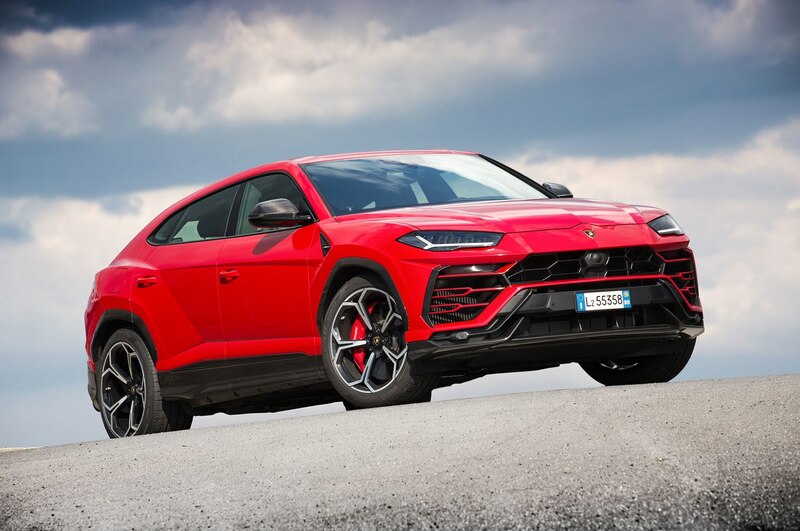 While the specs were impressive—a twin-cam, six-cylinder engine pushing 150 hp with a 2,400-pound curb weight—the car was more expensive than Porsche’s 911 and Jaguar’s E-type. Just 351 were ever built; this is one of the 180 right-hand-drive, Japanese-market examples thought to still be in existence. Prices for 2000GTs were pushing a cool $1 million a few years ago, but the market has tempered greatly since. For a time, the first-generation Acura NSX was just a “used car.” After Honda phased it out of production in the early 2000s, values languished for early examples, often selling between $20,000 and $30,000. Not today. Due to NSXs being marketed as daily-drivable supercars, many have big numbers on their odometers. This example shows just 6,000 miles of use. Don’t wait for the original NSX to get any cheaper, as those who coveted these cars in their youth are now in their 30s and 40s with increasing spending power. We spotted L.A.’s own Porsche customizer and style guru Magnus Walker taking a hard look around, in, and under this one before the sale, but according to his own Instagram post after the auction, he went home without it. 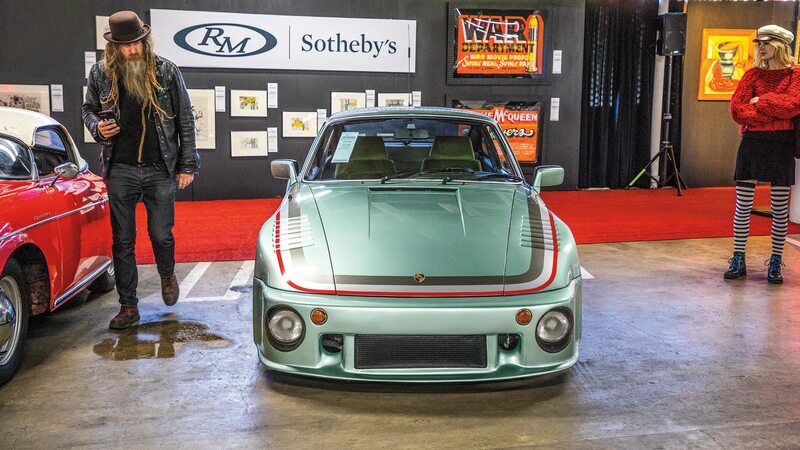 The high bidder got a crazy-looking Ice Green Metallic ’76 930 Turbo with in-period modifications from German tuner Kremer. It’s tough to tell whether this was a good buy, but it illustrates that beauty is, as always, in the eye of the beholder.